No credit card needed. See Offer Details below. Limited to one trial per customer. I agree that SiriusXM or an authorized Music for Business reseller may use this information provided to contact me regarding SiriusXM updates, special offers, and promotions from time to time; and that I expressly consent to such uses. OFFER DETAILS:The Music for Business subscription plan you choose will automatically renew thereafter and you will be charged according to your chosen payment method at then-current rates. Fees and taxes apply. To cancel you must contact your Reseller. (For questions, call 1-866-345-7474.) See our Customer Agreement for Business Establishment Services for complete terms. All fees and programming subject to change. Thanks for signing up for a free trial! Your username and password will arrive via the email you provided within the next24 hours. To learn more about SiriusXM for Business or just ask a quesion, fill out the following form and we'll contact you within one business day. A SiriusXM for Business representative will contact you within the next 24 hours. 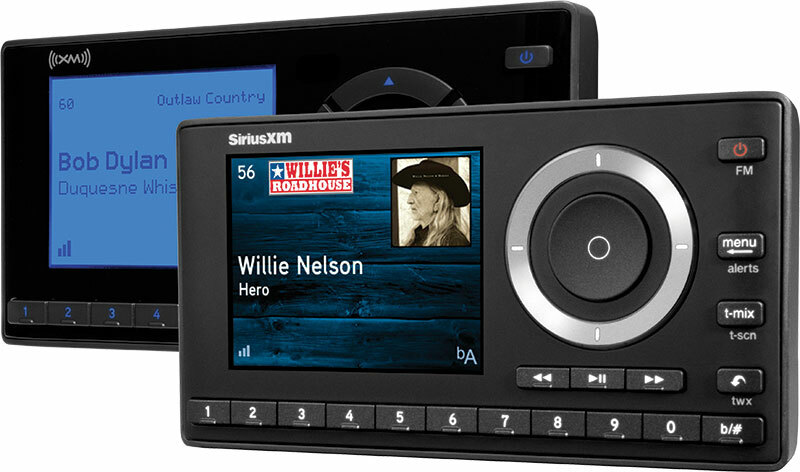 SiriusXM helps your business connect with customers and build brand loyalty, starting at $24.95 per month. See Offer Details below. While other commercial music services require multi-year commitments, we offer the flexibility to stop the service without penalty. We have over 100 expertly programmed commercial-free music channels. We save you time and money by paying all royalty fees including ASCAP, BMI and SESAC. Our hardware solutions are easy to install and setup takes only a few minutes. We offer customer in-store messaging & service management through a remote online portal. 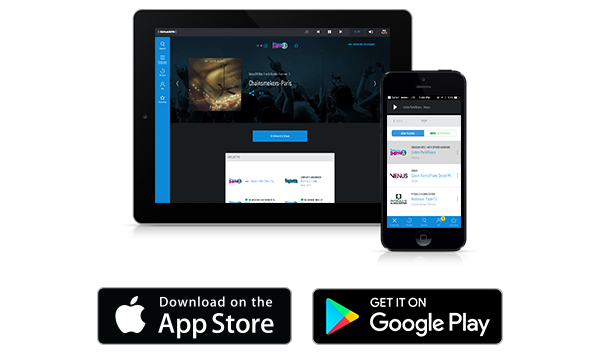 With over 100 business-friendly channels, 30+ channels that are free of DJ chatter and commercials, as well as music spanning over a dozen genres, there is something for every restaurant, office, and retail outlet. Choose SiriusXM Music for Business, and let our music work (and rock) for you. You have a choice of accessing SiriusXM for Business via our Streaming or Satellite service. Choose the one that is right for your business. Simply connect to the Internet using an Ethernet cable, power up, enter your subscription credentials, and start enjoying your music! Save $70 on the Grace Radio via mail-in rebate! See 2019 Rebate Offer Details. Don't have access to a high-speed internet connection? Our satellite service is available in the 48 contiguous states, excluding Alaska and Hawaii. It's easy to install and can be used almost anywhere. You will receive our programming on over 70 commercial free music channels. There are five senses. And you use all of them when you're enjoying a night out. The music you choose can set the soundtrack for a mouthwatering meal or even just a conversational cocktail. Shopping can be an errand or it can be an escape. In either case, the right music can be the difference between window shopping and making a sale. Invest in your bank environment with music that will improve employee mood and productivity. Plus the background music sound-masking of SiriusXM music will help keep customer conversations private as well as entertain them during busy periods, helping reduce perceived wait times. Getting fit and staying healthy is important to a lot of people. The music you play has as much to do with pushing out one more set or going for five more minutes on the treadmill as anything else does. Or relax with soothing sounds that quiet the mind. No one loves to be on hold. But it can be so much better when you hear something that makes you smile. And it can make you feel a lot better about who you're waiting for. Note: Features may vary by radio and subscription package. Subscription Offer Details: The Music for Business subscription plan you choose will automatically renew thereafter and you will be charged according to your chosen payment method at then-current rates. Fees and taxes apply. To cancel you must contact your Reseller. (For questions, call 1-866-345-7474 1-866-345-7474.) See our Customer Agreement for Business Establishment Services for complete terms. All fees and programming subject to change. © 2018 Sirius XM Radio Inc. Sirius, XM, SiriusXM and all related marks and logos are trademarks of Sirius XM Radio Inc. All other marks, channel names and logos are the property of their respective owners. All rights reserved.